The Top Artists, The Top Trends, The Top Name in Music. 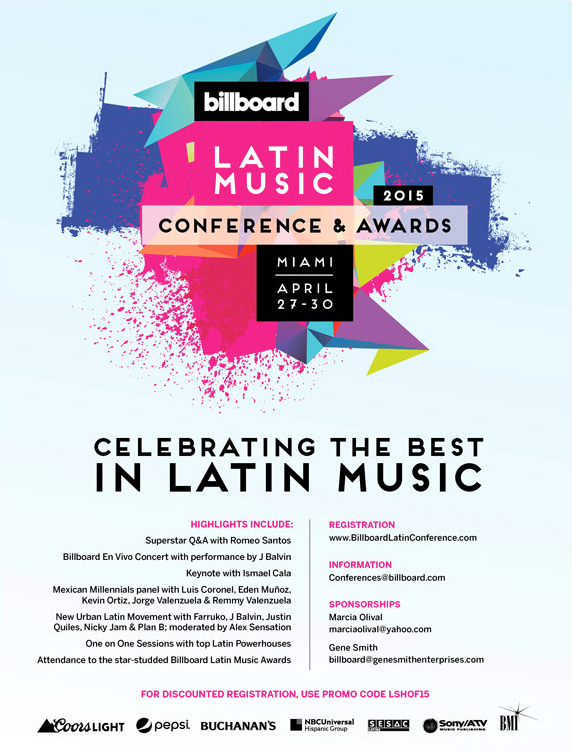 The Billboard Latin Music Conference & Awards is the BIGGEST and longest-running event dedicated to Latin music in the world. Now in its 26th year, the conference is the “must-attend” event for the top power players in the industry, from label presidents to A talent to top agents, managers, promoters, marketing and advertising executives and radio executives, as well as for those taking their first steps in the business.